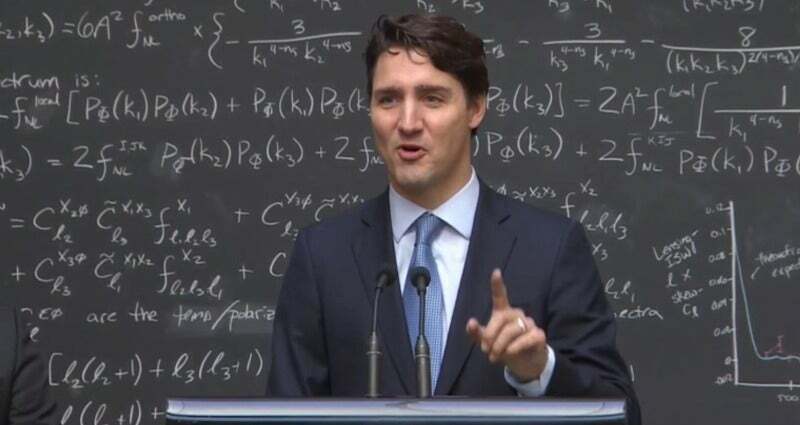 When Canadian Prime Minister Justin Trudeau schooled a journalist on the basics of quantum computing yesterday, I was initially as charmed and delighted as everyone else. But then a niggling sense of dismay set in. Why should this be such a singular newsworthy event? How come so few of us can do what Trudeau did, when science plays such a central role in almost every aspect of our daily lives? A journalist in the audience jokingly said, "I was going to ask you to explain quantum computing, but... haha..." The subtext: We are all too dumb to really grasp this esoteric thing — that is only for really smart people with PhDs. As off-the-cuff explanations ago, this is remarkably clear and concise, outlining the bare minimum of facts without getting too deep into the weeds — in other words, it was pitched perfectly for a general audience. But the swooning response also reveals just how little we expect of our political leaders when it comes to basic scientific literacy. And we expect even less from ourselves. That's the source of my dismay, because every single one of us has ready access to this kind of information, 24/7, on this glorious thing we call the internet. There are news articles, explainers, videos and online games and tutorials. Yet the vast majority of the population can't be bothered, avoiding most science like the plague — hard sciences like physics and maths in particular. We don't need to understand every last technical nuance, but quantum mechanics has been around for nearly a century now. It's behind every single piece of modern technology that we now take for granted. Is there really any excuse not to know that light and matter have both particle and wave aspects; that the more you know about a particle's position, the less you know about its momentum (the Uncertainty Principle); or the alive-and-dead superposition of states at the heart of the Schroedinger's Cat paradox? And we should certainly know the basics of how our computers work. Earlier this year, Gizmodo featured a fantastic video of actor Paul Rudd doggedly taking on Stephen Hawking in a game of quantum chess, with a little help from Keanu Reeves, texting from the year 2716. The underlying message: "Anyone can quantum!" It's not just for really smart people with PhDs. Our tagline at Gizmodo is "We Come From the Future". Well, my vision of the future is one where basic scientific literacy is not the exception, but the norm. Justin Trudeau's impromptu response is a perfect example of what that future could look like. Let's all do our part to make it happen.